In the meantime please enjoy this picture of Oliver a.k.a. 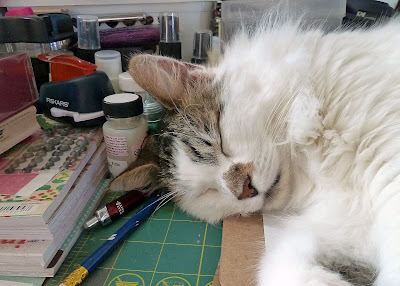 Thumbie taking over my scrap area. Join on in! 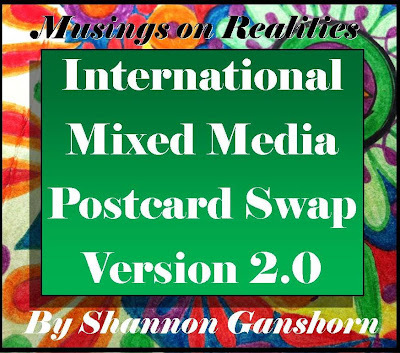 Mixed Media Postcard Swap 2.0 !!! 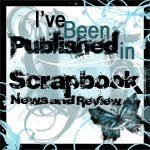 Not sure if anyone will be reading this post as I have not posted on my blog since October! Bad Amy!! Life was..and is..quite chaotic. 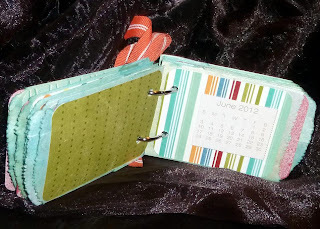 It seems to be a never ending battle to keep up with things and my blogging slipped. Ooops. Sometimes other things in life take priority, right? So...here are a few layouts that I have recently created. I followed the same sketch that I drew up for four of them. Was interesting to see how the were the same and different at the same time. If you want the sketch, let me know or simply lift! My silly Oliver is my "wild thing" as he loves to play peek-a-boo with one of our plants. I had to capture this in a layout. 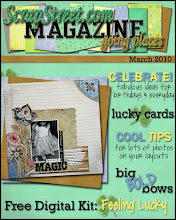 I just love the Cosmo Cricket papers, chipboard, and bling! I then Glimmer Misted the background with my beloved Tattered Angels paints. 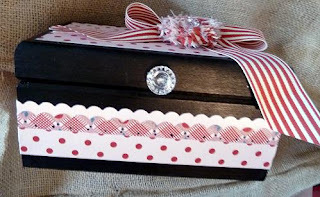 Pink Paislee and American Crafts created my title. Had to include a couple peacock feathers too! Been stuck in a rut lately and have barely scrapped. I finally broke out some Webster's Pages and created a tribute of sorts to my late Meiko. Not to be left out, I had to scrap Oliver as well. He was quite helpful in posing for the picture. As you can guess, his nickname is "Thumbie." Original, I know.. I can't believe that she was once this size. i can't get over the squishie BIG cheeks! More from Scraptacular for September! Here are my two kiddos NOT excited for the first day of school Last year. Had to scrap this picture of them as I think it is hysterical. 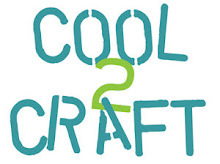 They certainly are "Too Cool for School," don't you think?? 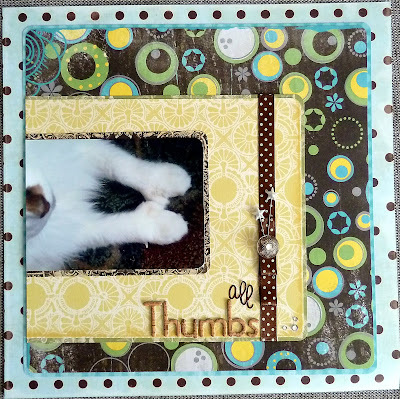 Here is a cute little calendar Mini album that I made using the September kit from Scraptacular. I am going to use it to record moments "in brief" from the upcoming year, 2012. The following items have been hand crafted by myself and are up for sale as part of the Jamaica, Vermont recovery and relief efforts post-Hurricane Irene. Please consider an item to benefit the community that I came from. I am also taking commissioned work and custom orders. Please feel free to message me regarding anything. 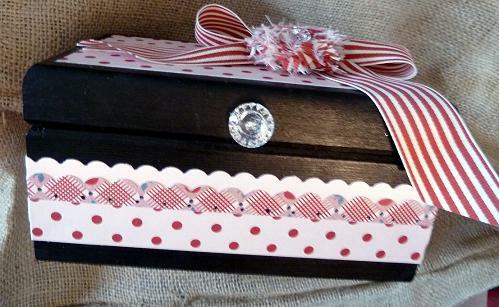 I am taking orders NOW for any sort of creative endeavor you can imagine or I can create. Jamaica, Vermont, my home town and where my Mother lives as well as so many family and friends, loved ones... They've been devastated by Hurricane Irene. 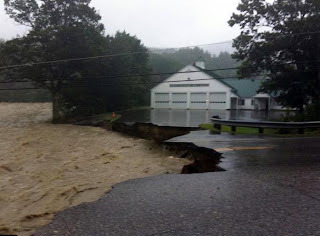 Will be sending all proceeds to the Jamaica, VT Fire and Rescue efforts and the Jamaica/Wardsboro, VT Food Bank. They have been ripped apart by the hurricane up there and this is all that I can think of to help. Please support this as best as you can. Will be taking free will donations for items plus shipping. OK, it's a bit of a stretch to be wishing Sunshine today here in CT, but I'm feeling it! 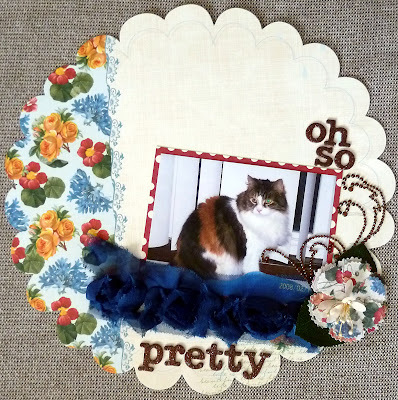 I created this layout from some Sassafass Lass, Authenique, and other assorted goodies. We were playing Layout Tag at Kitchen Keepsake this past month. I started it off with my great love for two things in life.. I have a small collection of Cheshire Cat mugs and had to document them. Coffee with a smile will brighten anyone's day! 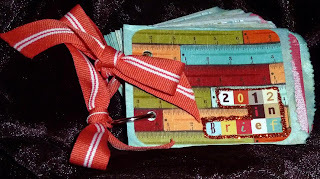 If you want to check out the progression of the Layout Tag, pop on over the Kitchen Keepsake! It's a great place!